Tooth decay on the outside – what on earth is happening on the inside? When I was a child tooth decay wasn’t unusual – but then I was born in an age when children’s toothpastes contained sugar at worst, and no fluoride at best. By contrast, my step-children – now in their 30s – benefited from improved dental care and products, and consequently have a beautiful set of decay-free gnashers. …so why are children below the age of 5 now suffering from tooth decay again? And this despite advanced toothpastes? SUGAR. 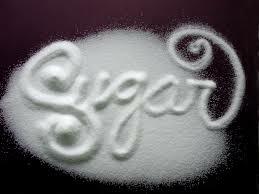 Sugar is the one thing being clearly identified as the problem. Sugar in baby bottles. Sugar in toddlers’ sipping cups. Sugary drinks. Sugary foods. Sweets. Tooth decay is a clear outer sign of the damage that sugar causes. But the one thing I haven’t yet heard discussed as part of this issue is the damage that simply has to be being done on the insides. What kind of inner-health legacy are we leaving to these children? One quarter of 5 year olds have tooth decay? How on earth will we cope if this translates into one quarter of adults with type 2 diabetes in the future? Tell me what do you think needs to happen to halt this potential burgeoning health crisis? This entry was written by rebalancediabetes, posted on September 30, 2014 at 7:19 am, filed under Uncategorized and tagged diabetes, sugar, tooth decay. Bookmark the permalink. Follow any comments here with the RSS feed for this post. Post a comment or leave a trackback: Trackback URL.